With mozzarella, fresh basil and sun-dried tomatoes, this omelet recipe is pizza in breakfast form! 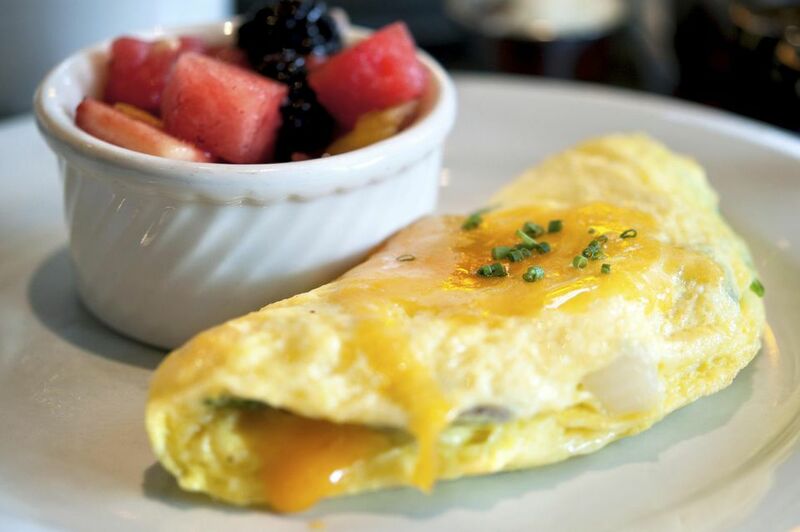 Make this omelet recipe for Mother's Day brunch or for any leisurely weekend brunch. Place sun-dried tomatoes in a small bowl. Cover them completely with boiling water. Set aside for 10 minutes, or until you assemble the rest of your ingredients. When tomatoes have reconstituted, drain the liquid. Arrange the mozzarella cheese, basil, and Parmesan cheese in bowls or on plates near the stove for easy access. In a small bowl, beat 3 eggs together with 2 tablespoons milk. Heat a medium (10-inch) nonstick skillet over medium-high heat. Add butter and tilt pan to coat it completely with melted butter. When butter foams, add the egg mixture and use a rubber spatula to rapidly stir eggs in pan for a few seconds. Then shake pan to evenly distribute eggs, and let cook over medium-high heat until eggs are nearly set. Sprinkle about 1/4 cup mozzarella, 1 tablespoon basil, 1/4 cup tomatoes, and 1 teaspoon Parmesan cheese over one-half of the omelet. Season omelet lightly with salt and pepper. Run the rubber spatula lightly under the other half to make sure it's not stuck, then gently fold the egg mixture over the filling. Let cook another minute or two to let cheese melt, then slide the omelet out of the skillet onto a plate. Keep warm in a 200 F oven while you repeat the process to create additional omelets with the remaining ingredients. Serve omelets warm.